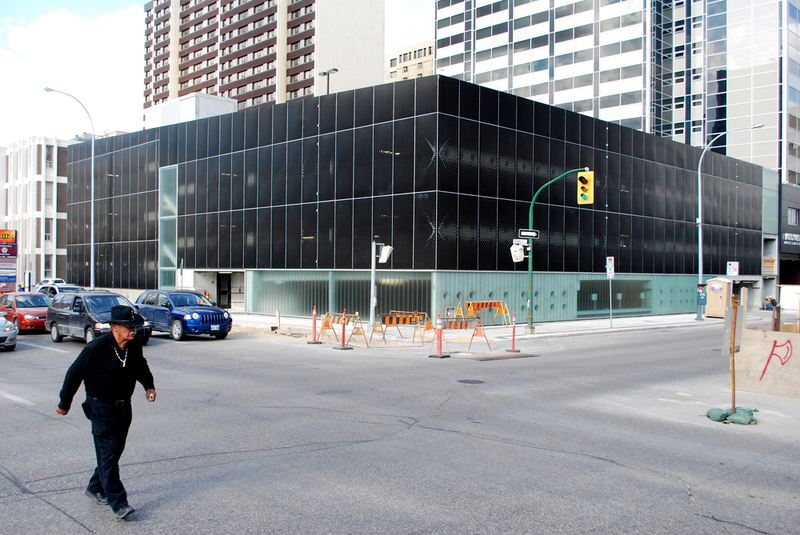 The York Avenue Parkade & Residences was designed as a multi-phased project and renovation on a highly visible corner downtown site in Winnipeg as a joint venture between Allan Coppinger Architect and BLDG. Designed maintaining an aggressive schedule and budget for a private developer, this complex involves the addition of an integrated parkade as new construction, and the conversion of a former hotel into loft-style residences, including a complete redevelopment of the exterior facades to provide an updated and unified new podium level for an urban context. At the sidewalk level public art and urban furnishings completed the proposal.